Jamie Davidson is the Founding Principal at City School of the Arts. She previously served as an instructional coach at Bronx Prep Charter School, where she oversaw literacy curriculum and instruction, managed culture and discipline, and coordinated family engagement for the 5th and 6th grade teams. Under her leadership, both grade levels made substantial gains in ELA and Math. She earned her BA in Comparative Literature from Barnard College with New York State certification in Secondary ELA, and completed a Master's Degree in Language and Literacy at the Harvard Graduate School of Education. Prior to Harvard, Jamie was a reading teacher at Brownsville Collegiate, a middle school in the Uncommon Schools network. 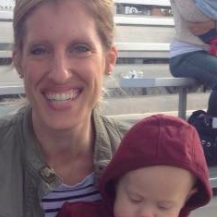 Sara Sheffer Corona is the Assistant Principal at City School of the Arts. She previously served as the Founding Dean of Students and Founding Director of Student Support at CSA. She holds a Master's Degree in Special Education, and has served in both public schools and charter schools in Las Vegas, Los Angeles, Washington D.C., and New York City for over ten years. She brings a passion for serving students with special needs and supporting whole child development. Elisa Murphy is the Director of Teaching and Learning at City School of the Arts. She earned a BA in English and History from Amherst College, as well as an MD from Columbia College of Physicians and Surgeons. She previously served as the Head of the Science Department of The Spence School, and was responsible for mentoring, conducting teacher evaluations, curriculum development, and creating extensive professional development opportunities for department members. She has also taught Math, Science, and Computer Science. She has received multiple teaching awards, including the Phebe and Zephaniah Swift Moore Teaching Award and the Margaret Duckett Award for Outstanding Teaching. Melissa Andrews is the Director of Operations at City School of the Arts. She previously served as a project manager at Edison Schools and brings years of experience from a varied business career serving public and private sectors, as well as educational institutions. In consultancy and project management roles, Melissa has worked for clients such as: the New York City Department of Education, Newark School District, the North Bergen School District, the Essex County Schools, College of Staten Island, the Ford Foundation, the Prudential Foundation, and the Salvation Army. Melissa is a veteran of the United States Marine Corps; and attended New York University, Columbia University, and Union County College. Anthony Conwright is the Dean of Students at City School of the Arts. He was born and raised in San Diego and attended High Tech High School. After graduating from HTHS, he returned to teach humanities and serve as the Dean of Students at HTHS Media Arts. He loves to travel, and spent a year abroad opening an international middle school in Mumbai, India. In his spare time, he enjoys exploring New York City for the best dollar slices and live jazz. Dr. Geoffrey Kiorpes is the Founding Artistic Director and Piano Teacher at City School of the Arts. He runs the Instrumental Music & Voice Program at CSA. He previously served as the artistic director and piano teacher at Bronx Prep Charter School, where he managed a team of ten full-time arts educators and oversaw a budget for a program that served over 700 middle and high school students. He was also active in the school’s annual Broadway musical production, overseeing a department that included orchestra, jazz band, visual art, choir, dance, speech, and digital media. He holds a DMA in Piano Performance from the Manhattan School of Music. Kate Quarfordt is the Founding Director of Arts Integration & Culture at City School of the Arts. She previously served as the director of the musical theater program at Bronx Prep Charter School, where she helped young people engage with the arts as a pathway to transformational learning experiences in all disciplines. Her students have gone on to win speech championships, gold medals for acting performances, and numerous college scholarships. She earned a BS in Visual Art and Theater from Northeastern University, and an MA in Teaching English to Speakers of Other Languages from Columbia Teacher’s College. Willow Joffee is the Director of High School Placement and School Partnerships at City School of the Arts. Willow began at CSA as the Founding Parent Coordinator, facilitating the formation of the CSA Family Association (CSAFA). More recently, she built a comprehensive and engaging high school placement process which promotes the collaboration of families, students, and teachers beginning in the 7th Grade. She develops strong partnerships with organizations, such as Manhattan Youth for after school programming and Battery Conservancy for urban farming, that promote the academic, social and emotional growth and wellbeing of students. Prior to joining CSA, she managed a mentorship program with young creatives at Urban Arts Partnership; she also worked with incarcerated young women at Riker's Island, teenagers in foster care, and high school students and their parents in a variety of settings. Deeply committed to social justice, racial equity and cultural responsive pedagogy, Willow looks forward to spearheading the Inclusion and Diversity initiatives at CSA. She earned her MSW from Hunter College. Becca Parkhurst is a Social Worker at City School of the Arts. She graduated from the University of Connecticut with a degree in Human Development and Family Studies and a Masters of Social Work degree with a concentration in Group Work. Previously a Social Worker in the Carrera Program through the Children's Aid Society at Brox Prep Charter School, she provided counseling services to a cohort of students, following her caseload for 4 years while students travelled from 6th to 9th grade. Kristen O’Donnell is the Founding Social Worker at City School of the Arts. She graduated from the University of San Diego with a degree in Sociology and holds her Masters of Social Work degree from City University of New York, Hunter College with a concentration in Clinical Practice with Individuals and Families. 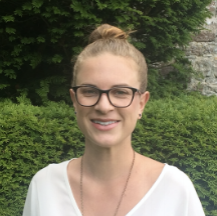 Kristen is a Licensed Clinical Social Worker who, in the past, has worked as a School Social Worker for Uncommon Schools and as a Youth Development Counselor and Adolescent Case Worker for Good Shepherd Services. Molly Waterman is the Special Assistant to the Head of School at City School of the Arts. She graduated from New York University with a BFA in Studio Art and a minor in Global and Urban Education. As a native New Yorker, she has longstanding relationships with the Children's Aid Society and Greenwich House; she grew from student to teacher, and passed on the art education she received as an Art Teacher, Camp Counselor, and Counselor in Training Coordinator. She spent a few years living in the United Arab Emirates, and found her global experience to be insightful into a greater context of both art and education. She dedicates her time to volunteering for The Andrew McDonough Be Positive Foundation, to benefit children with pediatric cancer. Rebecca Peters is the Financial Associate at City School of the Arts. She graduated from Fordham University twice with a BS in Public Accountancy and an MS in Accounting. After interning at Ernst and Young she obtained a full time position at EY in their audit practice serving financial services clients. After two years in public accounting, she worked as a Project Accountant for a real estate development company based in Brooklyn and mainly worked on the Empire Outlets project in Staten Island. For the past two year she has supported charter schools with their day-to-day finances and looks forward to continuing that work. In addition to working with charter schools, she also works with small businesses and entrepreneurs in NYC and helps them with their bookkeeping. She loves to travel, has a thirst for knowledge and loves to talk about investing. Claron Harvey is the Operations Assistant at City School of the Arts. He attended the Art Institute of New York City for Digital Filmmaking. He previously worked as a Real Estate Salesman for four years, as well as ran his own kitchen for three years. Marcus Nowell is the Food and Meal Services Manager at City School of the Arts. He attended Julia Richman High School and Sullivan Community College. He has worked at the Ethical Culture Fieldston School, Riverdale Country School, Boys Harbor Arts and Science Charter School, and East Harlem Scholar Academy. He also supervised in eight major hospital facilities and two decorative nursing homes. His passion is to feed students or adults with love, and great food for the soul. Lawrence Wong is a 6th Grade Math Teacher and the 6th Grade Lead at City School of the Arts. Before moving to New York, Lawrence was a middle school teacher for the Oakland Unified School District, where he taught twenty-four wonderful children in a self-contained, looping classroom for three years. Prior to teaching, he received his BA in Psychology from UC Berkeley and dabbled in the finance industry. More recently, he completed his Masters in Education Policy from Teachers College, Columbia University. His current interests include charter schools, social emotional learning, and inexpensive meals. He believes that a love of learning is the key to education and that you can never have too many socks. Christina Taylor is a Founding 6th Grade Humanities Teacher and the Humanities Department Chair at City School of the Arts. She previously served as a founding teacher at Bronx Park Middle School, where she built a social studies curriculum that fused critical thinking and student-led investigations. She holds a BA from the University of Chicago, as well as an MA in Education from the City University of New York. Charlie Malone is a 6th Grade Humanities Teacher at City School of the Arts. She studied English and Religion at Sarah Lawrence College and completed a Master of Arts in Secondary English Education at Teachers College, Columbia University. Before coming to CSA, she spent a year teaching English at Harlem Academy, where she helped direct student productions of Seussical and Julius Caesar. Her interests include all history (but especially the history of transportation), Marvel superheroes, and Pusheen. Jill Vachhani is a 6th Grade Science Teacher at City School of the Arts. Prior to working at CSA, she taught Science to middle and elementary school students and developed curriculum and assessments. At CSA, Jill plans the 6th grade Science curriculum and focuses on project-based learning with a focus on bringing in the creative arts to help students express their learning. Jill graduated from Rutgers University with a Bachelor’s degree in Biological Sciences and explored her love of teaching through years of working with students of all ages. She taught high school SAT/AP test preparation as well as at elementary and middle school after school programs working with students with learning disabilities. Jill went on to earn her Masters in Elementary Education and Special Education from Touro College. Shamie Cuthbert is the Founding ICT Instructor and the 6th Grade ICT Instructor at City School of the Arts. She has taught creative writing to all ages for more than ten years and has facilitated educational workshops both online and in person. She holds a Masters Degree in Early Childhood and General Education from the Bank Street College of Education. Alissa Koerner is a 7th Grade Humanities Teacher at City School of the Arts. Utilizing her diverse background in education and performing arts, Alissa spent the past five years at Williamsburg Charter High School, teaching English, Beginning and Intermediate Theatre, Advanced Musical Theatre, and Playwriting and Literacy. She received her EdM with a focus on English and Educational Theatre from NYU Steinhardt and graduated from The University of Michigan with an undergraduate degree in Theatre. Alissa is currently pursuing her Masters in English from the Bread Loaf School for English and is also a Fellow of the Academy of Teachers in New York. Nasrin Jafari is a 7th Grade Humanities Teacher at City School of the Arts. In addition to her work at CSA, Nasrin is a conference organizer and writer who focuses on k-12 education and education policy on her website, nasrinjafari.com. Previously, she served as the President of TEDxNYU and and holds a BA in Politics and Education from New York University. David de Céspedes is the 7th Grade Math Teacher at City School of the Arts. A former Miami Teaching Fellow, he taught middle-school science in Miami, Florida, where he secured over $10K in grants to implement new STEM curricula through a student-led edible garden initiative. He holds a BA in Architecture from Florida International University, and Master's Degree in Architecture from University of Michigan. His professional experience spans across architecture, digital design, and software development. Originally from Miami, Florida, he is most passionate about developing architecture projects that strengthen the overlap between STEM and the Arts. Angela Kaon is the 7th Grade Science Teacher at City School of the Arts. She has a love for mentoring students and a passion for creative hands-on science curriculum. Prior to joining CSA, she worked with Autism Spectrum Disorder (ASD) NEST students in her inclusive NEST Middle School science classroom. She implemented a 3D design maker program in partnership with the NY Hall of Science to work with ASD NEST students after school. She worked as a science teacher in the Bronx Institute at Lehman College and the Boys Club of NY. Prior to teaching, she worked as a researcher in fields including psychiatry, genetics, chemistry, and ophthalmology. She holds an MA in Science Education from Columbia University’s Teachers College and a BS in Biology from Johns Hopkins University. In her free time, she enjoys photography, running, biking, and volunteering with her community church. 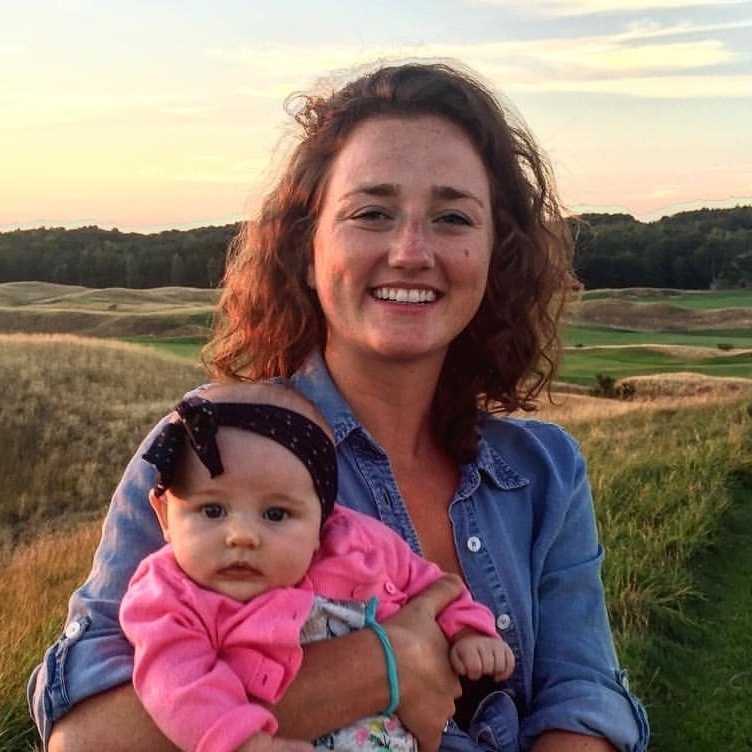 Katie Fahey is the 8th Grade English Teacher at City School of the Arts. She has taught in both private and public school settings for 8 years, most recently spending 5 years at the Beacon School in Manhattan. While at Beacon, she developed new curriculum and was the faculty advisor for the Black Student Union. She earned her BA in English with a focus on Creative Writing from Dartmouth College and went on to earn her MA in the Teaching of English from Columbia University Teachers College. She just spent the last year earning her second Masters degree, this time in School Leadership, at Harvard University. Jarod Wunneburger is an 8th Grade Math Teacher at City School of the Arts. He previously served as the program director of the South Bronx Early College Academy, where he supported efforts to create school culture and discipline systems, spearheaded yearbook, and trained new staff. He also taught math and science at Booker T. Washington Middle School, where he piloted a 1:1 program in the special education department. He earned a BS in Sociology from the University of Southern California, and an MA in Special Education from St. John's University. Christian Morehouse is the 8th Grade Science Teacher at City School of the Arts. 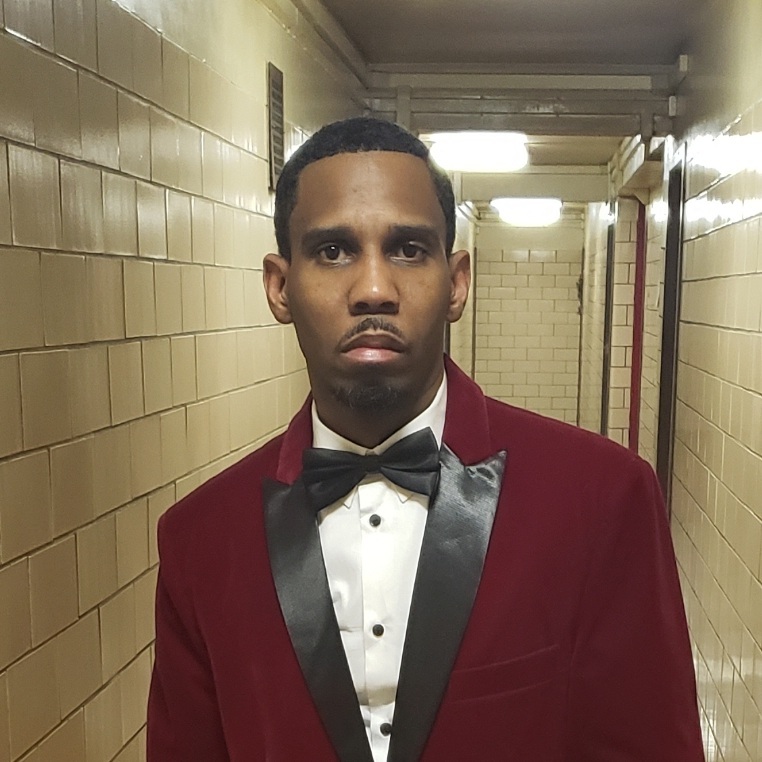 He previously held the same position at Brooklyn East Collegiate Charter School and was the Science Department Head at Fusion Academy Park Avenue. He earned his Bachelor's degree in Environmental Studies and Dance at Wesleyan University and is currently pursuing his Master's in Science Education from Columbia University's Teachers College. Besides teaching, he also enjoys the performing arts, fishing, the outdoors, motorcycles, and herptiles. Thalia Baez is the 8th Grade ICT Teacher at City School of the Arts. She graduated with a Bachelors from City College of New York, and is currently pursuing a Masters in Mental Health Counseling. 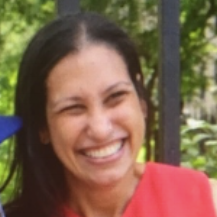 She previously taught as a 7th Grade Science Teacher, 6th Grade Math Teacher, and 6th Grade ELA Teacher in South Bronx and Upper West Side charter schools. Laura Neenan is an Intervention Specialist at City School of the Arts. She graduated from the University of Kansas with a BA degree in Speech-Language-Hearing. She also holds an MA in Speech-Language Pathology from the University of Kansas Medical Center with a concentration in multicultural communication and Autism Spectrum Disorders (ASD). She has worked in a variety of clinical settings including an interdisciplinary developmental pediatric clinic, outpatient rehabilitation hospital, and early intervention services. She looks forward to supporting the language, literacy, and neurodiversity of the students in the CSA community. Laura believes in holistic health and wellness, creative learning environments, and experiencing something new every day. Erin Long is the Artistic Associate at City School of the Arts. She is an actor, singer, dancer, and lover of all creative endeavors. After receiving her BFA in Musical Theatre from Shenandoah Conservatory, she moved to New York City. She has worked in professional theatres in New York, New Jersey, and across the country. She is very passionate about creating new musical theatre and has experience collaborating with composers in the developmental stages of writing original material. She has also worked with the USO over the last 4 years, traveling and performing for the military and their families. Samantha Thornhill is the Creative Writing Teacher at City School of the Arts. She is a Trinidadian-born poet, children's author, and educator. She received her BA in English from Florida State University. After graduating with her MFA in Poetry from the University of Virginia, she relocated to New York City, where she spent a decade teaching poetry at the Juilliard School, and performing her works in the US, Europe, Africa, and the Caribbean. She served as Writer in Residence at the Bronx Academy of Letters, and taught senior citizen writing workshops for Poets & Writers INc. She has received starred reviews in Booklist, Publisher's Weekly, and Kirkus, and has been published in over two-dozen literary journals. She is the founding curator of Poets in Unexpected Places, which was profiled in the New York Times. Rebecca Bliss is the Dance Teacher at City School of the Arts. In addition to joining CSA, she is currently adjunct professor of Afro-Cuban Dance at Barnard College and a faculty member of Ballet Hispanico’s pre-professional division. She will also continue almost two decades of work in youth education with the Brooklyn Academy of Music’s Dance Africa residency program. She received her initial training in ballet and modern dance at the Alvin Ailey American Dance Center followed by ongoing study in Cuba and New York. She completed an individualized Masters Degree at New York University focused on her work in Cuban dance pedagogy and performance. 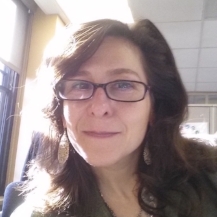 Albany Andaluz is the Digital Art Teacher at City School of the Arts. She is a Bronx-based multidisciplinary artist and educator. Her work has been exhibited at the Queens Museum, Bronx Museum of the Arts, the National Dominican Student Conference, as well as ArtForum. Her current project, Psyche, Drugs, and the Remnants of My Ancestors, explores the historical context of racial and cultural disparities in mental health care, and its contemporary effects. When she isn't leading artivism workshops, she can be found harvesting tomatillo at her local community garden, or reading to further her knowledge in all aspects of art and life. Ruaridh Pattison is the Music Technology Teacher at City School of the Arts. He is a jazz musician and multi-instrumentalist born in Kirkcaldy, Scotland, who performs and teaches the world over. An enthusiastic educator, he counts community engagement as a vital part of the life of an artist in the 21st century. As a specialist in improvisation, he encourages freedom of expression and creativity in today’s young people. He is a graduate of the Juilliard School and London’s Guildhall School, a former member of the Scottish National Jazz Orchestra, and the 2011 winner of the Young Scottish Jazz Musician of the Year competition. Douglas Marriner is the Percussion Teacher at City School of the Arts. He is a jazz drummer, composer, and educator born in London and based in New York City. He graduated from the Juilliard School with a Master's degree and the Artist Diploma, studying with Wynton Marsalis. He has performed in major venues across the USA, Europe, Brazil, and Japan. As an educator, Douglas has given masterclasses in Los Angeles, Tokyo, and Sao Paolo, and was the Director of Percussion Ensemble for Juilliard's Music Advancement Program. In addition to CSA, he also teaches for Jazz at Lincoln Center and Carnegie Hall. Simon Brown is the Strings Teacher at City School of the Arts. He has been involved in the USA El Sistema movement since 2011, when he helped start Kids 4 Harmony in Western Massachusetts. He serves as Assistant Director at Orchestrating Dreams. For him, writing and teaching music are similar in that he can't imagine life without either one. His compositions encompass concert music, electronic music, sound installations, movie music, and a new style, Realism. He studied composition with Tania León, Morton Subotnick, Douglas Geers, Andy Bonacci, and Steve Murray. He plays cello and guitar, and holds degrees from Berkshire Community College (AA), Westfield State University (BA), and Brooklyn College (MM). Michael Jones is a Theater Teacher at City School of the Arts. He holds a Theatre Arts degree as well as a Masters of Arts in Education. He studies at Gotham Writers' Workshop, New York Film Academy, Frederick Douglas Creative Arts Center, and Lincoln Center Director's Lab. He is the author of several produced plays, including Josh: The Black Babe Ruth, It Takes a Village to Raise... Hell, Family Matters, and Angela's Justice. His play, The Skin I'm In, is touring the NYC Public Schools and he has written several screenplays. As an actor and singer, he has preformed across the US. He has also taught conflict resolution, using theater arts and drama therapy techniques throughout NYC for over ten years. Miranda Small is the Visual Art Teacher at City School of the Arts. She has enjoyed the privilege of educating and nurturing New York City's young artists over the years. Her BFA from School of Visual Arts and MFA from City College of New York have inspired her journey to help young people empower themselves through the arts. She encourages them to recognize their own potential, and guides them to achieving through instruction in the processes of visual art. Her heart is most joyful when her former students from BP and SVA visit and share their own stories, adding yet another element to the museum of life. Noelle Tannen is the Vocal Music Teacher at City School of the Arts. She started singing in church choirs throughout the New York area at a young age. Coming from a family of string players, she began playing classical cello at the age of six. Noelle holds a degree in Composition from the SUNY Purchase Conservatory of Music, where she studied under Pulitzer Prize Winner, Du Yun, and Joel Those. She has toured nationally as a solo artist. Noelle has been teaching music for the past seven years at various community outreach programs, as well as schools in New York City and New Orleans.